Beginning with humble farmland, the Segerstrom family converted their parcels into real estate holdings in California’s Orange County during the 1950s, eventually unveiling South Coast Plaza in 1967 where lima beans once grew. Fifty years later, South Coast Plaza is known as a mecca for luxury and style. Not only is it the largest shopping destination on the West Coast where many top-performing international retailers flourish, but South Coast Plaza also is the most successful planned retail center in the United States, attracting more than 20 million people every year who collectively spend close to $2 billion. Early on, the Segerstroms envisioned developing more than just a place to shop. 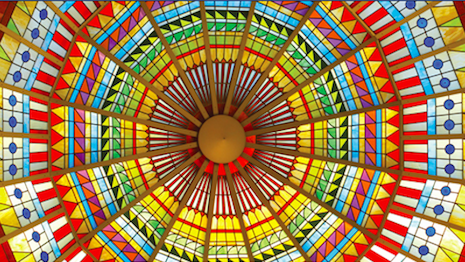 The family and South Coast Plaza were pivotal in creating a cosmopolitan center for culture and arts for the county, inviting artists and architects such as Isamu Noguchi, Richard Serra, Victor Gruen and Cesar Pelli to give life to that vision. The result is a campus that includes South Coast Repertory, the future location of the Orange County Museum of Art, and Segerstrom Center for the Arts, home to the Pacific Symphony, American Ballet Theatre, Philharmonic Society of Orange County and Pacific Chorale. 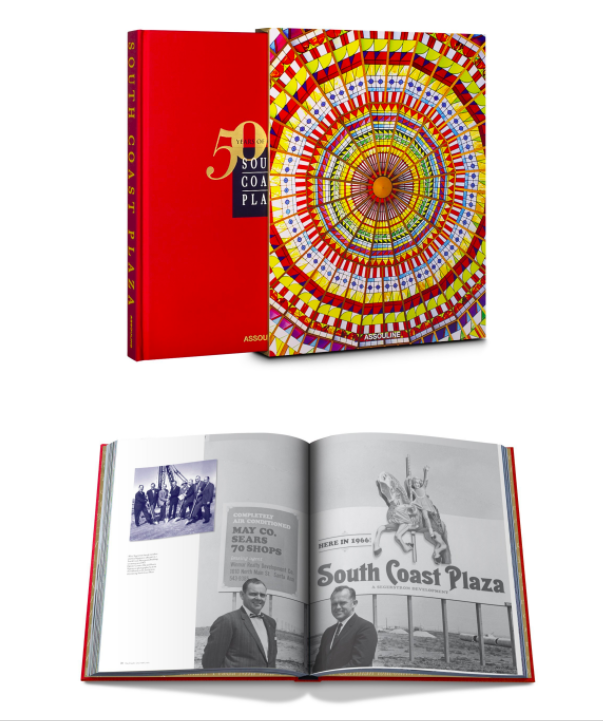 “South Coast Plaza” is a retrospective book that celebrates the center’s 50 years and traces the heritage and transformation of this landmark into an unparalleled commercial and cultural icon. Excerpted with permission from “South Coast Plaza,” published by Assouline Publishing, November 2017. When South Coast Plaza opened in 1967, the mix of department stores and boutiques in the one million-square-foot shopping center was not much different from other shopping centers in Southern California. Today, South Coast Plaza’s carefully curated collection of luxury boutiques is a destination unto itself in Orange County. While many other major retail centers that opened in the 1960s and 1970s have closed, or struggle financially, South Coast Plaza flourished. That’s due to a major advantage South Coast Plaza enjoyed: The Segerstrom family owned and operated it. They already had their eye on every detail, and the visionary changes they made over the ensuing decades were so significant that calling it a “mall” not only fails to do the center justice—it’s officially banned from South Coast Plaza’s lexicon. The evolution began with the Segerstrom family’s realization in the mid-1970s that they needed to distinguish their center from the competition. In that era, there were many malls opening throughout the region, often anchored by competing department store duos (May Company and Bullocks vs. The Broadway and Robinson’s) and filled with many of the same tenants one would find in centers around the United States. “I didn’t like the kind of retailing that we had to compete with,” Henry Segerstrom recalled of the glut of regional malls that opened in SoCal in the 1960s and 70s. “So, I decided to see if there was another market.” With his wife, Yvonne, he obtained the rights to own and open some of the most exclusive luxury boutiques of the day at South Coast Plaza. In 1975, André Courrèges opened at the shopping center, the first freestanding international designer boutique in Orange County. Contemporary fashion designers still reference his designs as emblematic of the 1960s and 1970s, with his white, A-line minishift dresses, geometrical lines, and minimalist designs in bold, contrasting colors. Other influential international designers followed soon thereafter. Yves Saint Laurent, who burst upon the fashion scene with his Mondrian collection of six colorful dresses that defined the modernist spirit of the 1960s, opened a store at South Coast Plaza not long after Courrèges. Then came Mark Cross, America’s first luxury leather goods brand, followed by Halston – who, according to an LA Times story, jetted in from New York with six models to “personally open the doors of his first boutique west of Chicago.” Halston was an especially important partner for South Coast Plaza at the time because his name was synonymous with 1970s glamour in New York, where the designer partied away the nights at Studio54 alongside friends and clients Andy Warhol, Jean-Michel Basquiat, Bianca Jagger and Elizabeth Taylor. These were the best designers of that particular moment; and the fact that they all opened within a year of each other at the same planned retail center foreshadowed that something was happening at South Coast Plaza – something big. After all, it wasn’t easy to create a real estate product that would live up to all the discerning expectations of the world’s top designers at that time. As Henry Segerstrom said of the decision to open those stores, “It was a growth market, and everybody else was passing it by because it took too much personal effort.” Today, luxury boutiques featuring the world’s finest names in fashion are de rigueur at the center. South Coast Plaza continues to engage in thoughtful curation of its mix of merchants, including early engagement with emerging brands to add to the collection of stores. Luxury brands queue up for years waiting for an opportunity to join the illustrious mix. South Coast Plaza has the finest jewelry and watch collection in Southern California, which is a key part of the luxury merchandising mix that draws shoppers to the center. Brands include Cartier, Harry Winston, Rolex, A. Lange & Söhne, Mikimoto, Patek Philippe, Van Cleef & Arpels and Vacheron Constantin. At the time, most national luxury retailers saw Southern California as a market that would only support one store, often in Beverly Hills. Henry Segerstrom was convinced that wasn’t the case, and that South Coast Plaza’s market reached well beyond the range of seven to fifteen miles that conventional retailing wisdom had established. Indeed, Segerstrom believed the market area of South Coast Plaza would extend well beyond that to a one-hundred-mile radius, drawing shoppers from Santa Barbara, Palm Springs and San Diego. The immediate success of Tiffany & Co. proved that Segerstrom’s vision was correct. Tiffany & Co. is on the list of retailers whose store at South Coast Plaza is often their first or second in revenue among all stores internationally, including their New York flagship store. The same may be said for Louis Vuitton, Hermès – which opened in 1997 at South Coast Plaza – and many others. While the many luxury brands at South Coast Plaza may be competitors, the curated collection ensures that each brand is enhanced by the others. In a way, South Coast Plaza is like a jigsaw puzzle – assembled meticulously by the Segerstroms, piece by piece, all the while making sure that precisely the right partners are brought on board. Examples of the Segerstrom family and their executive team courting and recruiting international designers and global brands to come to South Coast Plaza are legendary. A highly developed aesthetic, an instinct for luxury trends, and a refusal to underestimate the tastes of an increasingly cosmopolitan Orange County shopper helped South Coast Plaza evolve into the global destination it is today. Text by Kedric Francis, who is editorial director for custom content at the Southern California News Group. He was cofounding editor of Orange County Register magazine, which won the 2014 Maggie Award for Best New Publication, and was the executive editor for Coast Magazine. Previously, he was the founding editor of Riviera and Modern Luxury Orange County magazines. Excerpted with permission from “South Coast,” published by Assouline Publishing, November 2017. © Assouline Publishing. The family business was in the hands of Henry’s father, Anton, and three uncles, Harold, William and Fred. The elder generation didn’t really know what to do with the warehouse properties. “I talked to my father and uncles and asked if they would let me try to lease the warehouses,” he recalled. He struck a deal with a cannery on Newport Harbor, and another with frozen orange juice producers in the area. One leasing transaction was different, and it served as a revelation about the postwar U.S. economy and a different future coming to Orange County. Henry leased warehouses to “a developer and manufacturer of stainless steel honeycomb core,” a breakthrough technology product that was to be used for the skin of the B-58, a supersonic bomber for the U.S. Air Force. “Exposure to this kind of technology led us to think of our family’s future in different ways from our neighbors, who were still only in farming,” he said. That was about the time that Henry served as an usher at an Army friend’s wedding in San Francisco and met and fell in love with Yvonne de Chavigny, a San Francisco debutante who was the daughter of a French mother and niece of a high-ranking aide to Gen. Charles de Gaulle. Yvonne was—and is—an artist, painting in watercolors and other materials. She and Henry were married in Paris in 1950 by Pierre de Gaulle, who was mayor of the city and brother of the famed general. It was on that wedding trip that Yvonne introduced Henry to the Louvre Museum and he became aware and appreciative of great art. The 1950s were a decade of prosperity, when Orange County’s population trebled, thanks in large part to the completion of OC Santa Ana (I-5) Freeway, which opened the to large-scale residential development. Many farm families sold their land to housing developers. The family had petitioned in 1950 to have their property declared the Segerstrom Industrial District, a zoning designation that would have required political approval from the city of Santa Ana, where there was opposition. “Santa Ana political representatives said that all of our land should be residential,” Henry recalled. That would have meant greater tax revenue than industrial properties were likely to generate for Santa Ana. Henry fought city hall and won. “Because I had appeared before the board of supervisors on other occasions, they had confidence in my recommendations, and so we were able to get the zoning for the Segerstrom Industrial District,” he said. Most of the Segerstroms’ holdings soon became part of a different city, called Costa Mesa, which the family helped create. Indeed, the Segerstroms owned property in an unincorporated patch between Santa Ana and newly formed Costa Mesa in the 1950s. “Both cities wanted to grow,” Henry said, but the Segerstroms were reluctant to attach their land to Santa Ana, a major retail center for the region that could have presented a competitive difficulty for the Segerstroms’ plans for one day developing a shopping center. Costa Mesa Mayor Alvin Pinkley came up with an ingenious solution. The new city of Costa Mesa needed a water supply, and the Segerstroms had developed deep wells on their farming territories. If “Costa Mesa could lease water rights from us and thus develop its own access to underground water, compensation for those water rights would be equivalent to all the municipal taxes to be paid on the annexed property,” Henry explained. Segerstrom land became part of Costa Mesa—and its waters secured the city’s continued existence. In the early 1950s, Henry helped organize transit agencies for the county, bringing in bus lines. Decades later, he participated with other business leaders in efforts to pass Measure M, which imposed a half-cent sales tax to build roads. Henry was elected to the Orange County Water District for a four-year term beginning in 1957 and re-elected six times after that for a total of 28 years—16 of them as president. Water is critical, of course, to the development of Southern California and much of the American West. Water was a constant problem for Orange County during his tenure. A drought began in 1945 that lasted nearly a quarter century. Groundwater levels in many areas of the county dropped by 1950 to as low as 15 feet below sea level. If salt water ever came into that basin, it would contaminate and destroy it as a resource for drinking or agriculture, he said. Efforts to ensure the water supply came as uses were changing dramatically, reflecting the development of the county. They had to effectively sell 30% of their entire holdings to meet the tax bill. The surviving brothers, Anton and Harold, managed it through a trade of land with Los Angeles developer John Kilroy. The changes led Henry to spot an opportunity to gain equity in the family company. The following year, his lone surviving uncle, Harold, employed the same technique to bring his son—also Henry’s cousin, Harold Jr.—into the company. Ownership of C.J. Segerstrom & Sons was then vested in Henry, Harold Jr. and their spouses. In the next decade, children of Henry and Harold and their wives, Yvonne and Jeanette, would become owners and partners through similar transactions. Meanwhile, the growing Orange County economy was sending the Segerstroms signals. His thoughts and those of his family moved to real estate development. A United California Bank building in Santa Ana was completed in 1962—“the first fully air conditioned office building in Orange County,” Henry pointed out. Orange County’s population would double in the 1960s to 1.4 million, just under half of what it has become today. The large department store chains—Sears, May Co., Federated Department Stores, Broadway Hale Stores and others—were organizing shopping malls. Henry Segerstrom met with John Wadham, the Western real estate manager for Sears, in late 1962. Wadham said that his company had just completed a shopping center in Buena Park, 22 miles north and east of Costa Mesa, and asked whether the Segerstroms would be interested in working with Sears to build a new center. Sears then asked May Co. to join them in the proposed Costa Mesa center. Yet the major retailers and Henry were not really on the same wavelength. The retailers, as Henry put it, calculated that a store would be built to serve a primary market area of 25 or so miles in any direction. The Segerstroms wanted to do their own planning. They hired a land development economist who projected that the market was growing fast and that they could build a first phase and expand five years later. “So instead of doing that, we built an extra 100,000 feet and figured it was a good investment,” Henry said. He also had the architects design an air conditioning plant for the entire center. The building of South Coast Plaza went forward in some sorrow as Henry’s father, Anton, died of cancer in 1963, at age 72. His widow, Ruth, became co-managing partner of the family company along with her brother-in-law Harold Sr.
“I think that my mother was one of our finest business heads in her good judgment,” Henry said. Ruth worked from that point almost to the end of her life, at age 99, in 1997. South Coast Plaza opened in 1967 when the economy was less than vibrant as the Vietnam War dragged on the national and local economy. Henry and his marketing director, Werner Escher, reached for ideas to give the center a spur, events such as a Festival of British fashion and merchandise. That led over years and decades to make South Coast Plaza a global showcase, ultimately fulfilling another vision of Henry’s: borderless marketing. Today, more than 30% of South Coast Plaza’s customers come from outside Southern California, and as many as one in five come from abroad. Success in business and then cultural development followed, including the remarkable feat of Orange County families raising $143 million in the early 1980s to build the Orange County Performing Arts Center. Henry and the Segerstrom family donated $6 million for the Center, now named the Segerstrom Center for the Arts. There were some setbacks along the way, including a reversal to family plans in the late 1980s as Henry and C.J. Segerstrom & Sons tried to create a development of office buildings, shops and hotels on land of their Home Ranch, the Fairview Road site of the original 1915 farmhouse where Charles John and Bertha Segerstrom raised their family. Construction began in 1988, but prosperity had brought changes to the area. Now there were many housing developments and residents who forced a referendum on the Home Ranch project. A November 1988 vote went 3 to 2 against the project. A portion of the site closest to the original farmhouse is still being farmed for lima beans today. A decade ago, in an interview with an oral history project at California State University-Fullerton, Henry said the defeat taught him a lesson. “When one is blessed to have land in a vibrant community, and you decide you’d like to utilize the land for a commercial purpose or residential purpose, you find out that you really have only the rights of a trustee and that you have very little unilateral control over what you can do with your land,” he said. In fact, after the Home Ranch defeat, Henry and the Segerstrom family company instituted a process they called “development entitlement,” which basically involved owners and the community in negotiations. The family would provide Costa Mesa with schools, utilities, and other infrastructure in exchange for future approvals of various developments. Henry moved forward with major office buildings, such as Plaza Tower, Park Tower and Center Tower near the Performing Arts Center, along with many other developments. He also took a hand in some prominent companies in the larger Southern California region, including Southern California Edison, now Edison International, where he became a director in 1988. “That was the beginning of business directorships that opened my eyes to broader themes, to think beyond Orange County to the larger world,” Henry said.  He also served on the board of Security Pacific Bank and then Bank of America, which acquired Security Pacific in 1992. Yet nothing diminished his attention to detail at South Coast Plaza, where he walked the halls every day. Terry J. Lundgren, who today is chief executive of Macy’s Inc., recalls his job in managing a Bullocks store in South Coast Plaza in 1980. The 1990s saw the passing of Harold Jr., co-managing partner in charge of the agricultural side of the C.J. Segerstrom & Sons business who succumbed to a heart attack in January of 1994 at 65. His wife, Jeanette, stepped into the managing partner role until her death at age 72 in 2001. Their daughter Sandra Segerstrom Daniels is the current co-managing partner of the company, along with her sisters, Susan Perry and Sally Segerstrom, and her brother Ted Segerstrom. Harold Jr.’s children have incorporated their partnerships in the HTS Management Co., which is named for their father, Harold T. Segerstrom. Renee Segerstrom, whom Henry married in 1982, the year following his divorce from Yvonne, died in June 2000 as a result of complications of cancer. “She was a rare partner in life, full of joy and spirit,” Henry said in a eulogy. On a subsequent trip to New York, he was dining one evening at the St. Regis Hotel and met Elizabeth Swiecicka Macavoy, a clinical psychologist who had been divorced for a decade. They soon decided to marry. Henry told friends that he was understandably lonely after Renee’s death, but more than that, “I didn’t think I would ever have a love like this again. From the first night that I met Elizabeth, I thought I’m not going to let her get away,” he said. In the next decade and more, they brought Segerstrom Center to new heights of music and art. And Henry oversaw a $40 million investment to renew the furnishings of South Coast Plaza. Henry Segerstrom deflected such compliments. He spoke of Orange County’s growth the way a farmer might, as one who brings forth from the soil the inherent strength of what is there. James Flanigan, a longtime business journalist with the New York Herald Tribune, Los Angeles Times, Forbes and other publications, wrote a biography of Henry Segerstrom that is owned by the Segerstrom family.